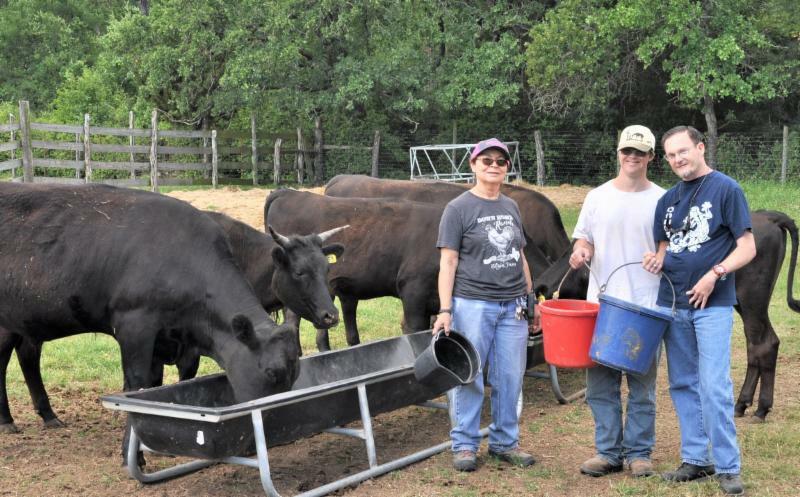 Pictured here are two of the DHR Ranch Hands and their supervisor, Naomi Russell. Down Home Ranch is officially moo-ving forward with beef sales! DHR Naturally Raised Wagyu-Angus Beef is now available for purchase at the Ranch (20250 FM 619 Elgin, TX 78621)! We’ve stocked our kitchen for years and now we’re ready to help stock yours! A complete listing of the cuts available is below. for $150 ($200+ value) back in stock towards the end of June 2018. Call 512-856-0128 for availability on all cuts and packs. Ranchers who currently work with our livestock. Thank you for helping empower their lives! Have questions about availability? Contact us today at 512-856-0128.